Hear from some of the women I’ve been privileged to support. After we worked together I felt free - almost instantly - of some unhelpful beliefs I’d been carrying for over a year. I look forward to each day now and feel like I’m radiating positive energy to myself and those around me. A baby after four years! Our fertility journey spanned 4 years, 5 IUIs, 6 IVF cycles and one miscarriage. It was long, emotional and invasive. After all of our efforts we created one frozen embryo which we transferred as a last ditch effort before considering donor options. Amazingly the little bean stuck and we found out we were pregnant in early Jan 2018. I believe the coaching + hypnotherapy with Bree played a huge role in our success (I was feeling VERY negative before seeking help) and found our work really helpful in managing fears in the early weeks of pregnancy. I honestly don’t think we’d be here if I hadn’t sought Bree's help and I am SO very grateful I got in touch. She also provided me with some wonderful connections to a doula and births support team. All up that means I got the pregnancy and birth I hoped for... Bree I can’t thank you enough!! I chose to work with Bree as my self-care coach because I had reached a point where my life had become about everyone but me - I had lost myself and felt like I was drowning. I was very busy being a mother, wife, sister, daughter, and friend but I didn't feel I was really doing myself justice and I knew there had to be more to it. Bree's profile resonated with me because of her mission of helping mothers with self-care. Bree's approach showed me that I could give myself the self-care and self-love I desperately needed and it would enrich, not take away, from the relationships I valued. She taught me how to love and care for myself again and that has allowed my relationships, especially that with my children, to blossom to their full potential. I have an excitement for each day that I had truly lost before. 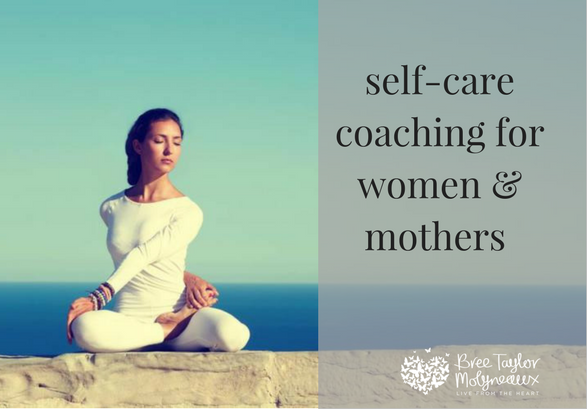 I am absolutely loving being a mum and am embracing the deeper connections that self-care and self-love has opened up for me. I feel I am now living life to it's fullest. Bree has truly been my 'Happiness Coach'! I worked with Bree to resolve a range of issues over 12 months and seeing Bree has been one of the best things I have done for my total body and mind health. I was feeling quite damaged and emotionally vulnerable about the whole fertility journey. Bree worked with me to help me heal from my previous birth and breastfeeding trauma, fertility obstacles and other life issues, always providing understanding and empathy. I realise now I was in a pretty bad way, but Bree helped me enormously. Since our first session I noticed so many changes and positive improvements. Now at our final session together almost three months later, I find myself even further along toward my goal than I ever imagined I could be! Thank you for all the help. I am now living a healthier life and really enjoying it! Coming up to the birth of my fourth child I was filled with dread and feeling quite anxious after having a very painful and difficult experience last time. I have been amazed at the results I have had from just one session with you and the follow up CD. I am feeling so much more relaxed and excited about the upcoming birth. Thank you! I'm feeling more positive than ever about our conception journey which I would like to thank you for. I came to Bree at probably one of the most challenging points in my life. I was an emotional wreck after 3 years of unexplained infertility, IVF treatments and the loss of 2 pregnancies. I was incredibly anxious, depressed and feeling a world of emotions... grief, lost, failure, disbelief, vulnerability, fear, loss of faith in my body and exhaustion. And wondering how I would keep picking myself up again to continue along the fertility path. Bree helped me to change all that & that started within the first session. Each session has made a huge difference in my life, along with the tools to work with outside the sessions. 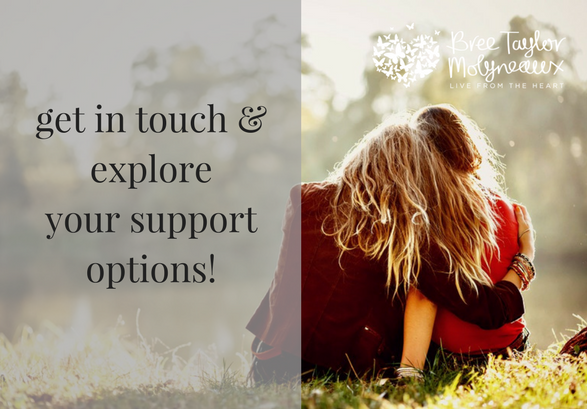 Bree has been there to support me not just through fertility treatments, miscarriages and the trauma but also through other lifelong challenges which she has helped me to now manage. Over our sessions I started to gain perspective, resilience, empowerment, and a calmer positive outlook on life in general. I felt emotionally balanced, gained hope in the fertility process and most importantly began to belief in myself again. I can’t recommend Bree highly enough for any life challenge. And I feel she is a must-have for anyone facing fertility issues. I’m half way through my 4th pregnancy now and I’m eternally grateful for the support Bree has given me to this point and still continues to give me. She has definitely had an immense impact on my journey to being a Mum. Your personalised attention and care for me during my preparations made all the difference to me. It is so nice to have the confidence and freedom to enjoy my life again. Within only a few sessions I noticed a massive difference in how I felt, acted and how I lived my life. Thank you for your support and these powerful mind-body approaches you use, you have really helped me live with ease and playfulness again. Following several years of overwhelming stress my health has been badly suffering. Within only a couple of months of working with Bree, she has helped me step up & take control of my emotions. This has made me feel happier, stronger & more flexible not only in my mind but in my physical health as well. I now have the ability to focus on self care that actually supports me, and project a calmer & more relaxed me that positively extends through my family & the way I deal with anything life throws at me. I can highly recommend Bree's support!! The work I have done with Bree has literally transformed me in so many ways. After several months of regular sessions together something suddenly shifted and I was coping better, looking at life more positively and not getting angry or depressed like I used to do. Instead all the changes we had worked through resulted in a happier me, even if life doesn't go the way I plan it every time. Thank you Bree, I value your support. She taught me how to tune into my intuition which I had doubted for so long. This piece of wisdom gave me the confidence to make very important decisions that would otherwise, have defaulted to medical professionals. I am so happy to share that after our second IVF round, we now have a beautiful baby girl. I have no doubt that working with Bree has had a profound impact on our lives. It makes me incredibly sad to think where I would be, if I had not sought her help and she continues to support me today. I loved my birth experiences. The initial HypnoBirthing course with Bree gave my husband and I the foundations for a better birth and got so much value out of the classes and listening to the birth affirmations and relaxation CD daily. This is such an amazing tool to have! Child birth is a miracle and so is HypnoBirthing! Bree was excellent at being able to journey with every couple in the group sessions and she explained the techniques so well. I found her to be very calm and have much respect for her passion about natural birth, it really gave me the confidence I needed. For my second birth I practiced my breathing and was much more in-tune and confident resulting in a pain free birth with no tearing – I was so proud of myself that I breathed baby down!! Pregnant with my second child, I sought out Bree for her HypnoBirthing expertise. Although the birth of my first child was described by my obstetrician and midwife as ‘textbook’, I never had the opportunity to ‘debrief’ about what was an unexpectedly intense experience. Time had mellowed my emotional turmoil but I was keen to avoid a repeat of the feelings of overwhelm and disconnect that I felt during and after that first birth. I wanted to see if there were techniques I could use to support me in getting the birth that I wanted. I was also hoping that this time around I would recover better and be able to breastfeed more successfully. Using a combination of coaching and hypnosis sessions, HynoBirthing, and excellent take home resources, Bree was instrumental in my ability to approach the second birth with greater confidence. I was worried specifically about the second stage of labour and keen to avoid a repeat episiotomy. Bree taught me so much and was able to tailor her advice to my specific situation. Sometimes I would start a session with Bree feeling a little anxious about my pregnancy and impending birth but without fail, I always left the session feeling confident, positive and eager to birth. Bree’s calm style and extensive knowledge created such a safe and special space that each interaction with her changed my outlook about what was to come. As a result of Bree’s sessions, I felt more connected and less overwhelmed during the birth of my little girl. It was still an intense experience but I handled the first stage of labour much easier and employed a range of techniques in the second stage of labour. The breathing techniques allowed my baby to cope better so I got my delayed cord clamping and that crucial first hours of bonding and breastfeeding. As I was able to stay connected throughout the birth it enabled me to cope better immediately after and in the days that followed. I have recovered from the birth much better and feel a lot more healthy and emotionally balanced. I have been breastfeeding more successfully and am confident I will continue to do so. I’m very happy I made the decision to engage Bree to help me in this journey and would do so again if there was a baby number 3! Overall I am very proud and happy of with how our birth went, and especially that I achieved the natural birth I’d wanted. I am so glad we had the HypnoBirthing techniques – these gave me lots of confidence going into labour and allowed me to achieve the natural birth Id dreamt of without ever asking for drugs. They also equipped my husband Michael to be a wonderful birth companion. Our perfect baby girl was born at home straight into our arms with our amazing midwives by our side. We are on cloud nine and still deciding on a name. It was everything I could have hoped for and the labour was quick (under 4 hours!). I am so pleased I had HypnoBirthing to bring back my focus when I felt like I was losing it! My husband was fabulous too; cool as a cucumber although afterwards he said he was a little nervous when he could see the head coming and the midwife hadn’t arrived yet but he certainly didn’t let me know that. He was rock solid, such a great birth support companion. Bree, I just wanted to let you know that I gave birth to a beautiful baby girl and we’ve called her Macy Elizabeth and she is a dream! As you may know, while I really, really wanted to believe in the idea of a somewhat bearable labour with minimal painy (hence doing HypnoBirthing with you), I was still very skeptical it was possible for me. I remember telling you that my two goals of this labour were to not feel like I wanted to die and not vomit continuously. Well, not only did I achieve both of those goals, but I also actually enjoyed parts of my labour!!! Both you and I know that I was pretty relaxed with my practice, however in the last few weeks I practised my breathing daily and listened the the affirmations. I also went to sleep listening to the rainbow relaxation. My labour was a lot longer than it was with my first child, however because I was calm during the early and mid stages, I was able to stay focused and it was relatively easy to manage. Just the simple act of ‘breathing’ did wonders and I finally understood what people were saying when they say after the birth you just want to do it again – because that’s exactly how I felt. It’s incredible what birth is supposed to be like when we trust our bodies and our hormones work for us, rather than against. It was a completely different birthing experience this time around, despite it being longer! 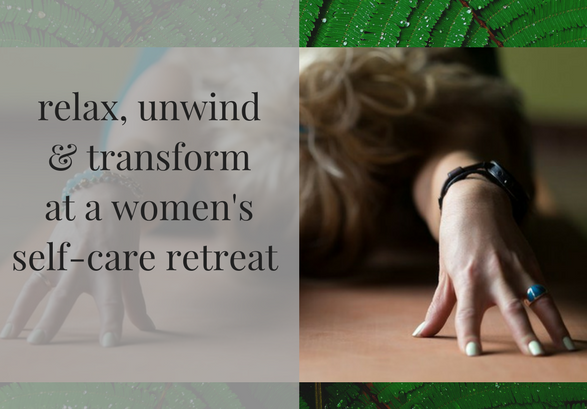 What a fabulous service you provide, when even skeptical women like myself can have such empowering, calm experiences. I also don’t know if it is because of the birth (and pregnancy), or just coincidence, but Macy is a much, much calmer baby than Ella was. She is incredibly easy going and happy. Thank you for all of your wonderful support and guidance. I’ll definitely recommend you and HypnoBirthing to other pregnant mummies. It is worth every cent! Read more HypnoBirthing birth stories via my blog articles here. Great, I would love to support you!